I do enjoy visiting horrible guts. 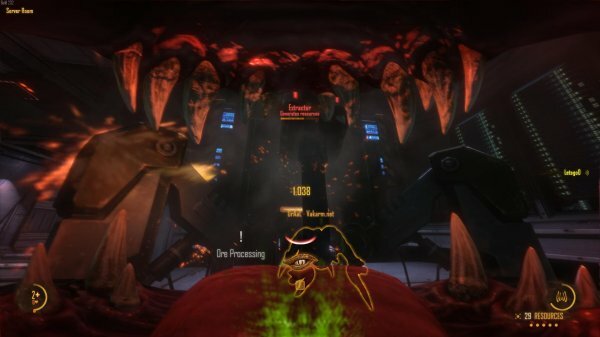 I’ve leapt between the grinding teeth of The Many in System Shock 2, chainsawed a city-devouring worm’s heart(s) in Gears of War 2, and admired a meatwizard’s DIY skills in Vampire: The Masquerade – Bloodlines. Now I’m keen to play Natural Selection 2: Combat, as developers Faultline Games have showed off its horrors of being devoured alive. 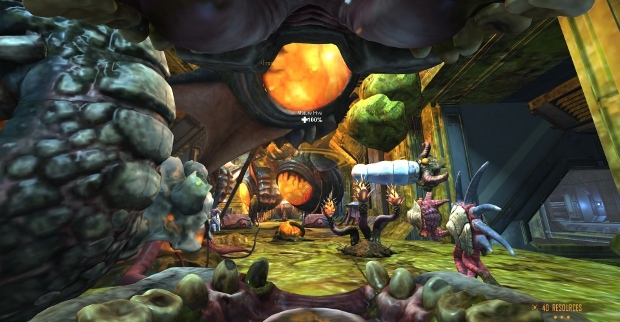 Being swallowed by a space-rhino will leave us trapped in its guts, desperately calling for help and pounding on meat as it closes around us and as acids fizz at our flesh before we reach, er, the finale of the digestion process. All from an appalling first-person view. What great guts! Can any of us honestly say we have never dreamed of creating a beautiful garden from flesh and bone, bile and spit? I thought not. That’s the problem with these ‘Craft’ games: they tend to use everyday building materials like stone and metal. Give me great citadels of bone draped in banners of skin, the absurd excesses of heavy metal album covers come to virtual life. Or, failing that, GorgeCraft will do. The mod turns Natural Selection 2 into a building sandbox, letting us cough up biological lumps and structures wherever we please as architects of oozing monstrosities. It left beta and launched over the weekend, and you can snag it from the Steam Workshop. Half-Life begot the mod Natural Selection, which begot standalone sequel Natural Selection 2, which together with NS1′s Combat mode incestuously begot NS2′s Combat mod, which now begets standalone game Natural Selection 2: Combat. It’s all a bit like Chronicles with assault rifles. Faultline Games are taking their Combat mod standalone, they’ve announced, expanding and polishing it up as one would expect. 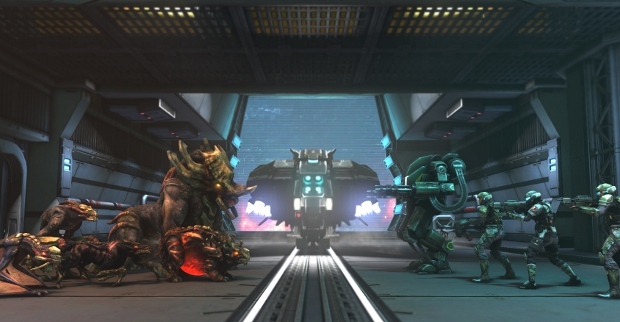 Combat’s a murder-oriented version of Natural Selection, focusing on the asymmetric humans vs. aliens FPS combat while doing away with RTS-y bits like resource-gathering and commanders. It also splashes in RPG-y levelling, with murder-earned skill points unlocking new weapons, tech, life forms and whatnot. Are you tired of sales? Did Black Friday and Cyborg Monday beat your wallet to a penniless pulp? Well, TOO BAD. Games will continue going on sale from now until the end of time, and somewhere in between, you will cast off your mortal coil poor and probably alone. I apologize. That was too much. Sales just get me super amped up> about mortality, is all. 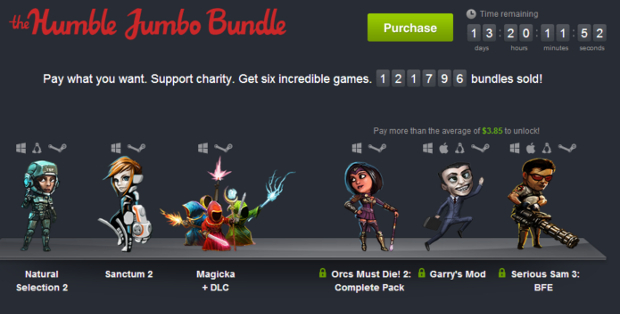 Anyway, the Humble Jumbo Bundle is composed of six games and tons of DLC. Standouts include Natural Selection 2, Sanctum 2, and Orcs Must Die! 2. Details below. I started writing this story just to point out that Natural Selection 2 is going to have a free weekend over the next few days, and that if you hadn’t yet bought it then you should take a look. 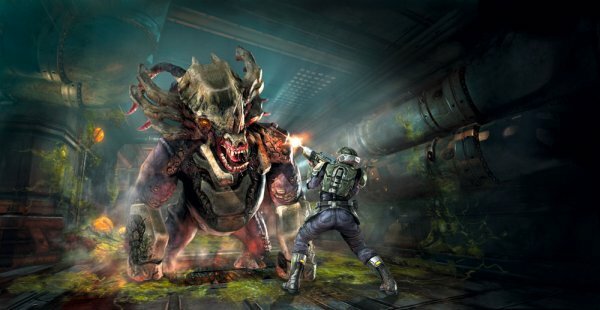 It’s a really good indie multiplayer shooter that managed to overshadow Aliens: Colonial Marines in every possible way, and they’ve just updated it with loads of new content. There’s new weapons, female player models, better tutorials, and more. There’s a trailer for that below. But there’s also a trailer for a new crowd-funding scheme as well. Unknown Worlds has released free updates for the game since it’s been launched, but as the game’s returns diminish they need cash to continue working on it full-time. The latest free update cost them $550,000. Their hope? That a tiered donation and reward system will recoup some of that expenditure.UPDATE: Unknown Worlds have responded to some of my concerns. They’re at PAX and recorded a video. I’ve embedded it below. In Natural Selection 2, you can play as just about anything. Gigantic pairs of teeth with tiny feet attached, mutant god elephants, space pterodactyls, scythe-armed devil wraiths, and, you know, men. But not human women. At least, not yet. 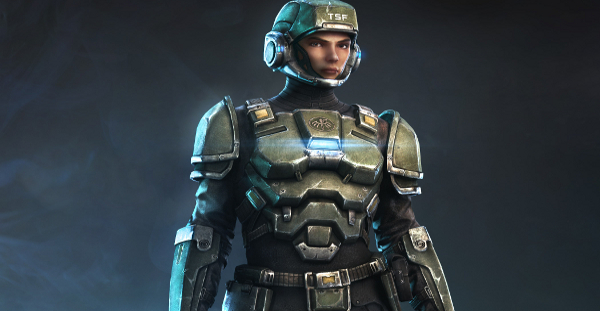 Thankfully, that’s all about to change, as Unknown Worlds has unveiled a female marine design that’s, well, pretty freaking great. Better late than never, I suppose. So hurrah! Details after the break. There are quite a few communities bustling away in the General Sociability forum, and some of those have produced of videos of their antics. I’ve embedded just a few of those below. There are many more, and I am sure others still I haven’t seen.